Aren't we all almost ready for Easter by now? As one of the most celebrated festivities in the world, Easter gives us as chance and opportunity to be with our loved ones once again. But what if your daughters or grandparents live far away from you and there is no way you can visit them at this time of the year? Then perhaps sending some love through homemade baked cookies or brownies could be a great idea. The question is how to ship these Easter baked goods so that they arrive to them undamaged? You don't want them to get only the crumbs of what was beautifully and deliciously made cookies. Here are some tips. That's the number one rule. ALWAYS use food grade containers if you want to store food inside. 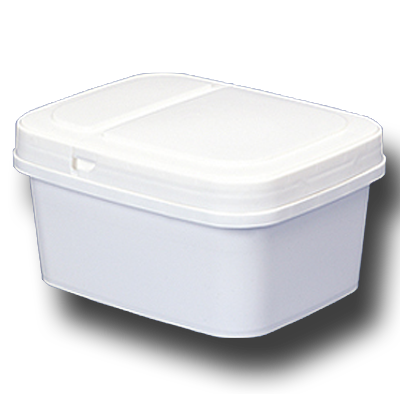 You can find these food grade containers here. Use every space possible to prevent the foods from shaking when shipped. If you see some empty spaces still, fill them in with cooked pop corns so the cookies will stay in place. A sturdy shipping box is crucial. You don't want to pack the plastic container full of delicious goodies in a cheap bad quality shipping box. Remember, you want the package to arrive safely, not damaged or torn or crumbled. Once in the box, the plastic container should still be prevented from any possible shake. So you've got to fill the spaces between the container and the box. Bubble wraps are a good idea for this. Wrap the container around and nestle it tightly inside the box. Put more bubble wraps if necessary. Now the cookies are ready to be shipped. This will surely be a pleasant surprise to the person you send it to. And what is lovelier than to receive a thank you long distance call or skype video conversation because of your great intention and deliciously made cookies? And Easter will still bring you together although you are not physically near. Shipping baked goods can be done using a Styrofoam container packed with ice packs or dry ice.